NEW RELEASES: St. Vincent, Conor Oberst, New York Dolls and more are streaming in full this week via Spinner. CHOOGLIN' stopped by The Current for a chat and mini-set streaming via MPR, which describes the band as "somewhere between James Brown and the MC5." THE NEW YORK DOLLS: David Johansen talks to PopMatters about the band's history, reunion and new album. GRIZZLY BEAR is profiled by New York magazine and The New Yorker. 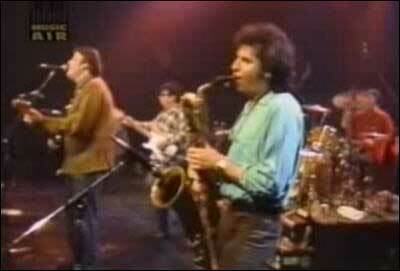 LOS LOBOS: "Evangeline" and "Will the Wolf Survive?" Both circa 1985. Dosfer Cinco de Mayo. RHETT MILLER is interviewed by author Ben Greenman as part of the "Largehearted Boy Cross-Media Cultural Exchange Program." ART BRUT: Jasper Future talks to MusicRadar about recording Art Brut Vs Satan with Frank Black. STEPHIN MERRITT of Magnetic Fields talks to Metromix about scoring the stage musical of Coraline. PATTI SMITH may soon be Meg White's mother-in-law. JESSICA SIMPSON: Vanity Fair has a think-piece on the pneumatic blonde at the crossroads of Obscurity and Re-invention. MAGGIE GYLLENHAAL & PETER SARSGAARD tied the knot in an exchange of vowel-filled vows in Italy. DAVID HASSELHOFF denies reports claiming he was rushed to an LA hospital after suffering alcohol poisoning. He says it was food poisoning, with just a smidge of alcohol. LINDSAY LOHAN falls down, goes boom outside a club in Montreal. DENISE RICHARDS tortured Cubs fans with her version of "Take Me Out to the Ball Game," but it was for a good cause. MEGAN FOX shot some video for her Esquire cover story, so it must be Gratuitous Tuesday. DENNIS RODMAN rebounds to rehab. IRANIAN AIRCRAFT attacked three villages inside Iraq over the weekend. Meanwhile, the American journalist on a hunger strike for two weeks to protest her imprisonment in Iran was briefly hospitalized after she intensified her fast by refusing to drink water, Reporters Without Borders said Monday. AFGHANISTAN: Justin Kelly, a recently retired Australian army officer with service in East Timor and Iraq, argues that a strategy focusing on the annihilation of Taliban power is the only way to achieve broad political progress. IRAQ: The 130K American troops serving in Iraq are more likely to die in accidents, from natural causes, or in other "nonhostile" incidents than at the hands of insurgents, according to Defense Department statistics for the past eight months ending in April. 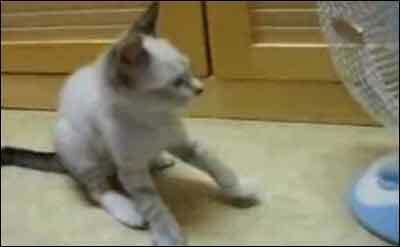 KITTEH VS. FAN: Who you got? PIGLET & RABBIT, living together... mass hysteria. And Tigger, too! A PREGNANT COUGAR returned safely from a day-long walkabout on her own late Sunday in Poinciana, FL, but her three kittens did not survive a Cesarian section. This is a story about a wildcat... you know that, right? HEY, IS THAT A SNAKE IN YOUR LAP, or... oh, it is. 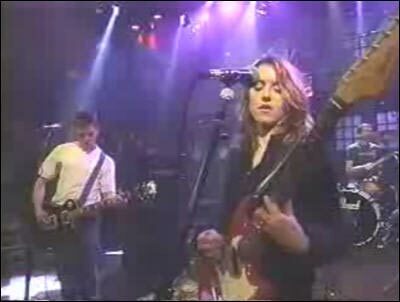 SONIC YOUTH reveal "What We Know" on Later with Jools Holland. CONOR OBERST is advance streaming his next album, Outer South, via NPR. PETER BJORN & JOHN played the World Cafe on Friday; you can stream the whole gig on demand via NPR. CAUSES 2, a Darfur benefit album featuring tracks from The Decemberists, Davendra Banhart, Gnarls Barkley, My Morning Jacket, Sharon Jones & the Dap-Kings and more, is streaming in full via MTV. BOB DYLAN gets a special section at Paste marking his 33rd LP. BIG AUDIO DYNAMITE: I shoulda posted "The Bottom Line" before the Kentucky Derby, but better late than never. DEVO, recently featured here, is profiled at The Guardian. COTTON JONES (Michael Nau and Whitney McGraw, formerly of Page France) break out at Rolling Stone, with embeded video. DOVES' manager died, their studio burned down, and they missed out on a No 1 spot by four sales. But they are still rolling and talking to The Guardian. THE BREEDERS talk to The Observer about switching drugs and drink for good food and music. WEEKEND BOX OFFICE: Wolverine finishes first with 87 million, right about in the middle of gurus' predictions. This is less than X3's opening, but not low enough to end the franchise. Ghosts of Girlfriends Past places with 15.3 million, disappointing compared to past Matthew McConaughey openings, and middling as counter-programming to Wolverine. With a 60 million budget, this may end up a flop. Last week's champ, Obsessed, drops 57 percent to third place with 12.2 million. But Obsessed has already made 47 million on a 20 million production budget. 17 again drops 45 percent to the fourth slot, taking in 6.4 million. Mosters vs. Aliens crept back into the Top Five with 5.8 million. Below the fold, Battle for Terra opened in the 12th slot. ADVENTURELAND: I finally got to see this tale of post-college kids working at a second-rate amusement park circa 1987, and regret not seeing (and plugging it earlier). 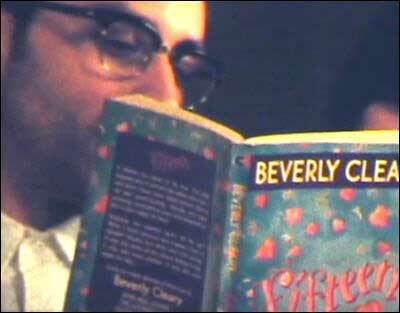 More realistic than an Apatow comedy, with much less gross-out humor, this slice of life is carried by its charming performances and direction, not to mention its excellent soundtrack -- filled with The Replacements, Lou Reed, Husker Du, and hits of the period, plus incidental music from Yo La Tengo. It's on only 200 screens or so now, but see it or queue it when it goes to DVD. MADONNA: The man believed to be the biological father of Mercy, the 4-year-old Malawian girl Madge is trying to adopt, says he he wants to raise her in his own culture. BRITNEY SPEARS: A stage-jumper was arrested at her gig in Connecticut. PINK admits to being bisexual. 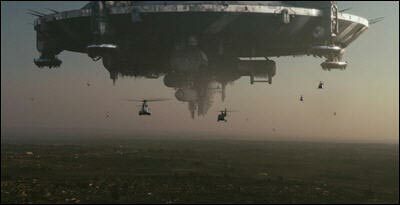 DISTRICT 9: A Peter Jackson production about aliens living as refugees in South Africa, has a trailer online. SCARLETT JOHANSSON's directorial debut is a flop. JAY LENO's recent hospitalization was due to exhaustion. PAKISTAN is continuing to expand its nuclear bomb-making facilities despite growing international concern that advancing Islamist extremists could overrun one or more of its atomic weapons plants or seize sufficient radioactive material to make a dirty bomb, US nuclear experts and former officials say. The government established Islamic courts in the Malakand Division. The Taliban rejected them and said their followers would never surrender their weapons, as the security situation in Swat rapidly deteriorates. The Guardian claim's Pakistan's army is as inept as it is corrupt. IRAQ has not allowed the US military to interrogate a detainee the Iraqis contend is the leader of the Sunni insurgent group al-Qaeda in Iraq. Iraqi forces backed by US troops have arrested a US-allied Sunni Arab militia leader. 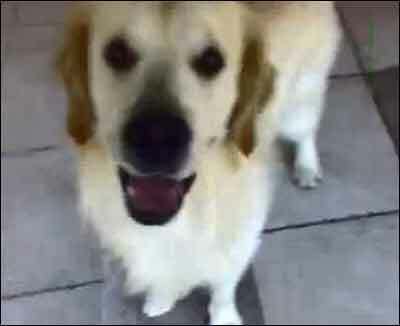 FRIENDLY DOG: Very friendly. Very, very friendly. SHOW-JUMPING BUNNIES! Awww...some pics at the link. MEERKAT PUPS were abandoned by their mom at the London Zoo, but the pics are awww...some. HENRY the CAT BURGLAR was nabbed after stealing dozens of socks from his neighbors. SHARKS UNDER the DANCE FLOOR at a bar in Austin TX. Gonna need taller platform shoes. ...with THE RASCALS! I thought for sure I had featured them before, but I have been remiss, so let's get to it. "Good Lovin?" You can see it shorter in color or longer in B&W. 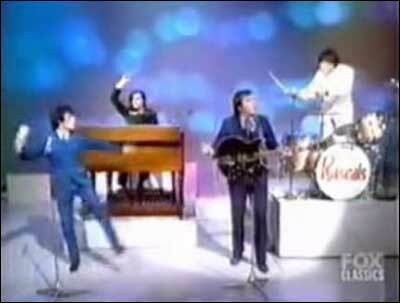 They're introduced by Alan King on Hullaballoo for a "dramatic" performance of "I Aint Gonna Eat Out My Heart Anymore" and returned about a year later to cover "Slow Down." 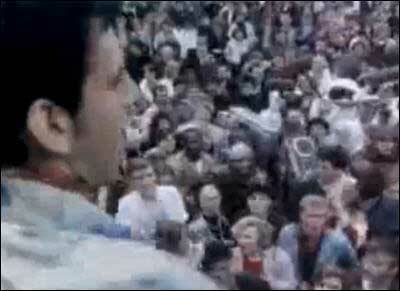 I had to watch that in HQ to get it to work, as I did with the pumped up take on "People Got to Be Free." Had to leave the Tube to find mid-period hits like "Groovin'," "A Girl Like You," "Lonely Too Long," and "How Can I Be Sure? ", not to mention their tumultuous take on "Mickey's Monkey," which easily surpasses the album recording. THE HOLD STEADY did the four free songs thing for Daytrotter at SxSW. SCHOOL OF SEVEN BELLS stopped by the World Cafe for a chat and mini-set streaming via NPR. SUPER FURRY ANIMALS drummer Dafydd Ieuan talks to Clash about the new album and tour, balancing work and family, etc. Videos at the link, too. AKRON/FAMILY is profiled at the Village Voice. 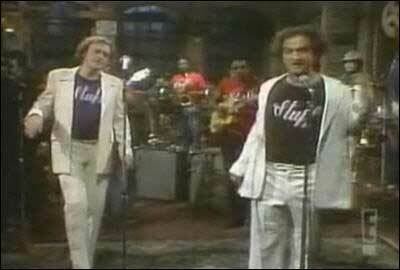 JOE COCKER & JOHN BELUSHI's infamous duet on "Feelin' Alright." WIRE: Colin Newman talks to the Calgary Herald about curating this year's Sled Island Festival. MARK OLSON talks to Blurt about working again with fellow Jayhawk Gary Louris. PRIMAL SCREAM: Bobby Gillespie talks to Interview about the band's first, complete US tour in nine years, the past, the future, and Little Steven. M WARD talks to the Mpls Star-Tribune about She & Him, returning to to tour his new album, etc. CUTOUT BIN: From Let's Active to Black Sabbath, from M Ward to Ted Nugent, from Sham 69 to the Zombies, plus Johnny Cash, Robyn Hitchcock, Elvis Presley, the Hold Steady and more -- this Friday's fortuitous finds are streaming from the Pate page at the ol' HM. NOW SHOWING: This weekend's wide releases include X-Men Origins: Wolverine, which is currently scoring 43 percent on the ol' Tomatometer; Ghosts of Girlfriends Past, currently scoring a scary 10 percent; and the animated Battle for Terra, scoring 58 percent. LINDSAY LOHAN has been cozying up to a 36-year-old computer nerd in Hawaii. ALEX RODRIGUEZ may have bulked up with steroids as early as high school - and was suspected of juicing while playing for the Yankees, a bombshell new book reports. His teammates gave him a nickname for it. SCARLETT JOHANSSON has topped a poll of Hollywood's best breasts... compiled by Access Hollywood? Classy!KELLY McGILLIS, after two marriages and two daughters, is in the market for a female partner. TRANSFORMERS: REVENGE of the FALLEN has a full trailer online. 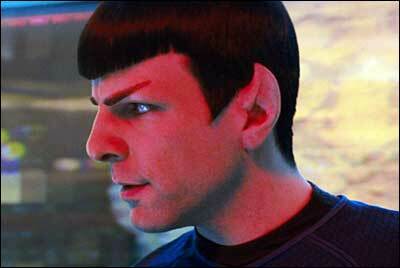 STAR TREK: Zachary Quinto talks to New York magazine about the reboot, Vulcan wisdom and the Beastie Boys. And there are five new clips online. MR. T was summoned for jury duty. I pity the defendant. THE AMERICAN MILITARY ADVISOR, co-published by the US Army War College, is a refreshing and blunt how-to guide for civil affairs and political affairs officers. The author, Michael J. Metrinko, was a Peace Corps volunteer in Turkey and Iran and spent 14 months as a hostage when Iranian students seized the US embassy in in 1979. After the 9/11 attacks, he took assignments in Yemen, Iraq and Afghanistan. PAKISTAN: The government claimed the Dir operation dislodged the Taliban after just one day of fighting, but the Taliban still control much of the northern district. Gen. David Petraeus, commander of US Central Command, has told US officials the next two weeks are critical to determining whether the Pakistani government will survive. IRAN: US Defense Secretary Robert Gates said Thursday a military strike on Iran's nuclear program would not stop that country from pursuing the development of a nuclear weapon. Gates told a Senate panel that a military option would only delay Iran's nuclear ambitions and drive the program further underground, making it more difficult to monitor. IRAQ: April was the bloodiest month for violence in Baghdad in more than a year, raising questions about US witdrawal plans. 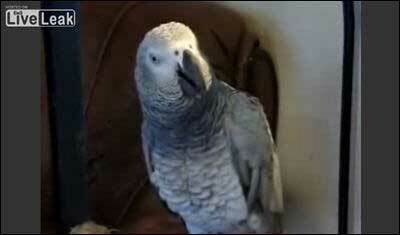 RUDE PARROT: Let's go to the video. DONKEY SUICIDE BOMBERS threaten British troops in Afghanistan. THE SQUIRREL THREAT: Again and again, the Scots fail to finish the job. A BIRD knocked out power in Salem, OR... with a fish. SWARMING MICE severely chewed a war veteran Down Under. I think we all know how painful that can be. Willard and Ben sought for questioning. PSA: Friends don't let friends ride a horse drunk. MAYER HAWTHORNE is rocking the retro on "Just Ain't Gonna Work Out," from his upcoming debut LP. KING KHAN talks to Express Night Out about the grassroots approach to building up a fanbase. Videos at the link. GABRIEL KAHANE, profiled a few days ago by The New York Times, did the four free songs thing for Daytrotter, one previously unreleased. The NYT link also has an audio track. CHAIRLIFT stopped by The Current for a chat and mini-set streaming via MPR. CAMERA OBSCURA: Tracyanne Campbell lists a few of her favorite things for Pitchfork's Guest List. 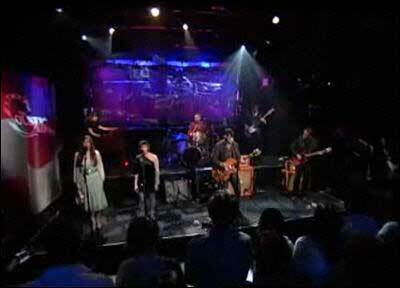 THE DECEMBERISTS perform "The Wanting Comes in Waves" on the Colbert Report... or you can watch the full episode. ROBYN HITCHCOCK talks to Paste about The Decemberists' Colin Meloy, as only he can. WILCO: The new album has an awesome title. So does the lead track. CUT OFF YOUR HANDS did the four free songs thing for Daytrotter. MGMT has convinced French President Nicolas Sarkozy's UMP party to pay up for using the song "Kids" without the band's permission. 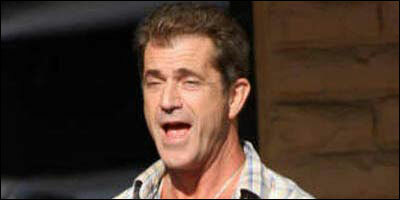 MAD MEL UPDATE: More than two weeks after his wife filed for divorce, Mel Gibson officially debuted his Russian girlfriend at the industry screening for Wolverine. SEAN PENN has filed for "legal separation with minor children" from his wife of 13 years, actress Robin Wright Penn. BRITNEY SPEARS: Fmr "manager" Sam Lufti has been judicially ordered to stay away from the pop wreck for three years. CHRISTINA APPLEGATE graces the cover of People magazine's "Most Beautiful" issue. Article + sneak peek slideshow of others who made the list at the link. JENIFER ANISTON is in the process of adopting a baby boy, according to the ever-reliable Star magazine. 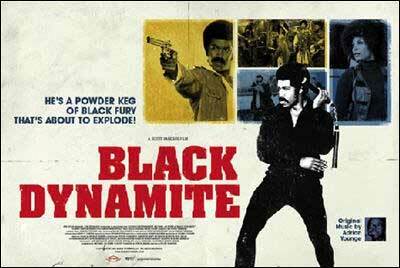 BLACK DYNAMITE is making the festival circuit before a proper release in September. Cinematical has an exclusive clip from the blaxploitation parody. STAR TREK: Simon Pegg talks to the L.A. Times about playing Scotty in the reboot, and taking secret pictures of himself in his trailer. WALL STREET 2 edges closer to launch, with Michael Douglas returning as corporate raider Gordon Gekko. PAKISTAN: As the government is conducting military operations against the Taliban in Dir and Buner in the insurgency-plagued Northwest Frontier Province, Taliban fighters have moved into the district of Mansehra and established a base and a training camp. The Taliban move into Mansehra puts them along the strategic Karakoram Highway, a road that links Pakistan to China in the north. A Taliban takeover of Mansehra would also open up a direct route into Muzaffarabad in Pakistan-held Kashmir. AFGHANISTAN: The Taliban announced a new spring offensive that will target new forces entering the country as well as Afghan politicians and security forces. Pres. Karzai said he would run again for a second term. 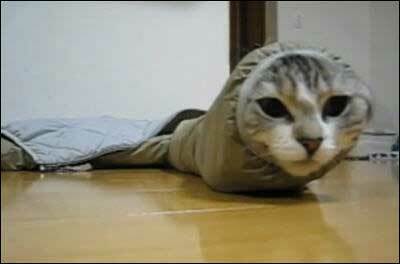 SLEEVE CAT: Let's go to the video. SUPER-RATS "big enough to put saddles on" are running amok around Boston. APRIL the DOG saves her owners from a pre-dawn house fire. A CROCODILE visited a Toyota dealership in New Port Richey, FL. The croc was trapped, as employees desperately tried to sell it a RAV 4 with zero percent financing. 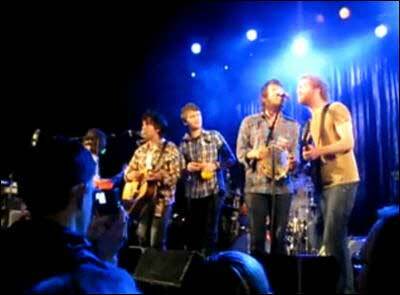 BLITZEN TRAPPER was joined by FLEET FOXES on "Furr" in Eugene, Oregon. BEN HARPER is advance streaming his new album, due May 5th. JOHN DOE & THE SADIES are streaming their new album, Country Club. Wonderful North Americana. MARIA TAYLOR stopped by The Current for a chat and mini-set streaming on demand via MPR. ART BRUT gets an audio review plus tracks from Robert Christgau for NPR. THE PAINS OF BEING PURE AT HEART go lo-fi in the official video for "Young Adult Friction." DUKES of STRATOSHPEARE: Andy Partridge producer John Leckie talk about the inspiration behind the 25 O'clock recordings in a two-part podcast. BEN LEE answers the infamous 20 Questions at PopMatters. STEVE EARLE talks to Billboard about his upcoming Townes Van Zandt tribute album. JASON ISBELL talks to the Houston Chronicle about playing pool. Yes, really. 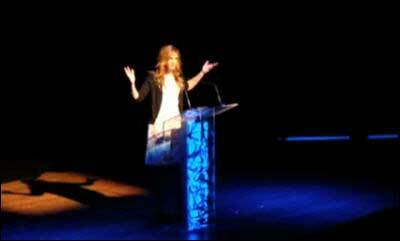 JULIA ROBERTS let the F-bombs fly at a salute to Tom Hanks. Video at the link. SARAH JESSICA PARKER & MATTHEW BRODERICK are expecting twin girls via a surrogate. MADONNA boytoy Jesus Luz is getting dissed by other male catwalkers, who presumably know he's only getting work from Madge's pals to keep him legally in the USA. FARRAH FAWCETT must not be doing well; Redmond O'Neal was sprung from jail for three hours over the weekend to see her. MEGAN FOX is on the set of Jonah Hex. That's some corset she's wearing. JESSICA BIEL: Her Powder Blue is going stratight-to-DVD. If Biel as a stripper can't get to the big screen, it's got to be pretty awful. TERMINATOR: SALVATION has three new TV spots, with new f/x footage. FRANCE: Hundreds of ‘highly intimate' images -- plus a video -- of French First Lady Carla Bruni and an ex-lover have been stolen during a burglary in Paris. PAKISTAN launched an operation against the Taliban in Buner. The operation is the latest in a series of disjointed offensives that have failed to blunt the Taliban's advance in Pakistan. IRAQ displayed the man they claim is Islamic State of Iraq leader Abu Omar al Baghdadi on television. RETURN of the BOX CAT: Maru is back... and this time, she's got a bigger box! A CHIHUAHUA is no match for 70 mph winds. A LITERARY CAT turns up at a British library almost every day while his owners are at work. He spends the day on his favorite blue chair, only leaving the building when he sees his owners arriving home. A PLAGUE OF MORMON CRICKETS is fought off with hard rock in the Nevada desert.